Do you know that there are cameras that can hide the ugly pores from your face and always look beautiful? That's how great and advanced today's camera technology is. And yet, you are also using those expensive cosmetics? You may have been advised through TV commercials and magazine advertisements that black spots in the skin pores, known as blackheads, are caused by dirt accumulation. Is it because most pharmaceutical companies double their business tactics in somewhat that way? Now, we will try to find what is wrong and what is right. Is Applying Creams on Your Face Good Enough? Do you always find yourself standing in the front of your mirror in the morning, thinking how to hide those dark spots around your face? If your answer is yes, you most likely have tried applying all available creams and powder all over the surface of your face to hide your pores. Young girls and adolescent boys may be taking much of their time trying to find out how they can hide their pimples and rashes by applying a lot of creams and other popular cosmetics. 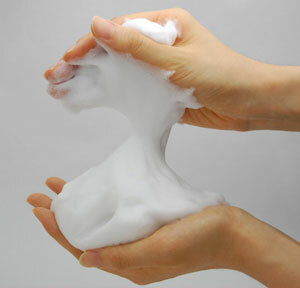 But did you know that facial cleansing using a bubbly, foamy form method is the solution for most skin problems? Do not be deceived by Face Wash Solution Commercials! Various face wash solution commercials you see on TV and magazines are mostly gimmick, and are not really based on actual use. Those creams only cover your skin pores including dirt and bacteria, therefore creating hundreds of other skin problems. Probably, you already knew how to wash your face with soap bubbles. If you haven't, it's time for you to do it now. There's no need to scrub your face. Not even your fingers and hands have to touch your face. Everything can be done with just the bubble foam. Amazingly, these super fine bubbles can penetrate deeply into your pores. Can you believe that? 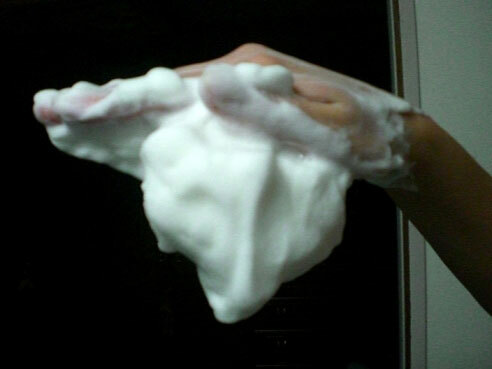 The soap bubble has such unbelievable power to clean your face! Now, the black spots that can be seen in the skin pores are made up of bacteria and acids that surround the skin. According to researchers, it is difficult to make the pores smaller, thus what we can do is to clean the area and keep the skin surface moisturized by applying some camellia oil or olive oil. Remember, “Bubble facial cleansing” is one of the fastest treatment techniques to help heal your pimples and other facial skin problems! To avoid rough and rugged texture of the skin, always keep your skin warm and moisturized. If you are suffering from extremely severe acne, it may be caused by the negative energy (see https://www.pyroenergen.com/causes.htm ). We therefore recommend immediate use of the PYRO-ENERGEN electrostatic therapy.